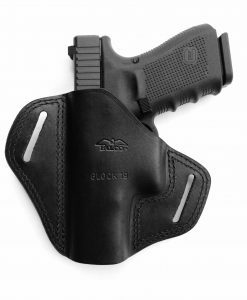 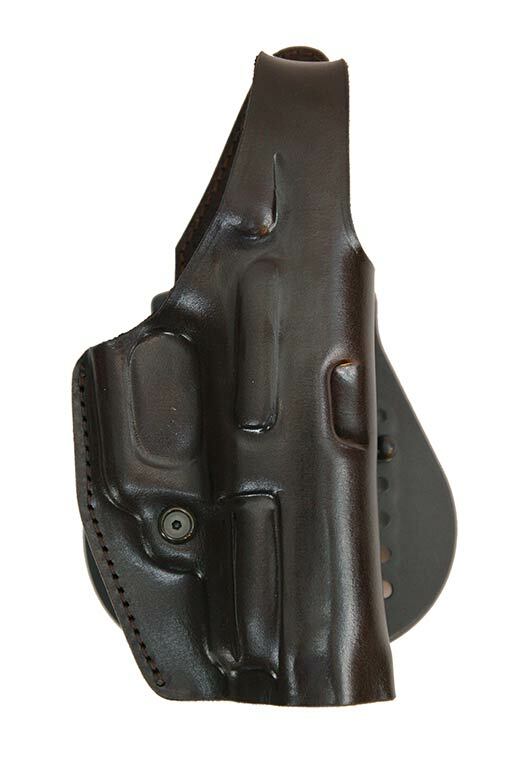 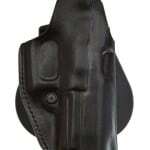 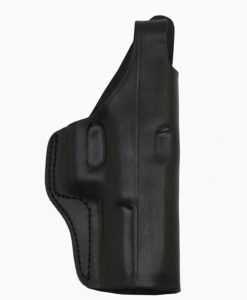 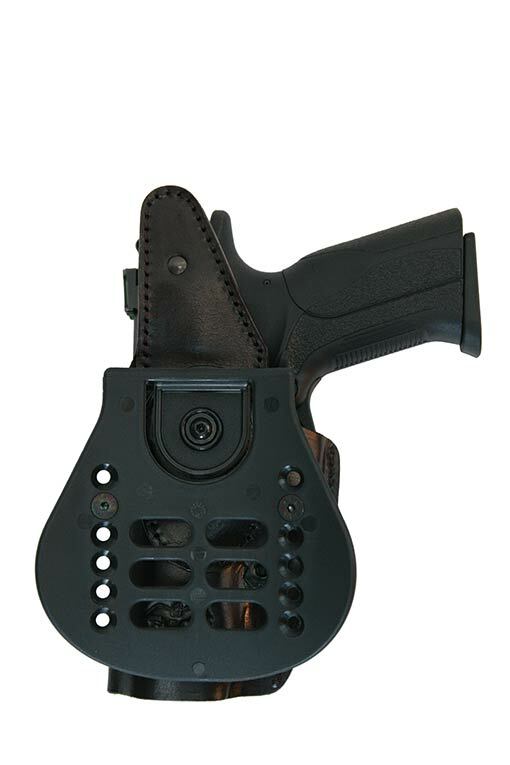 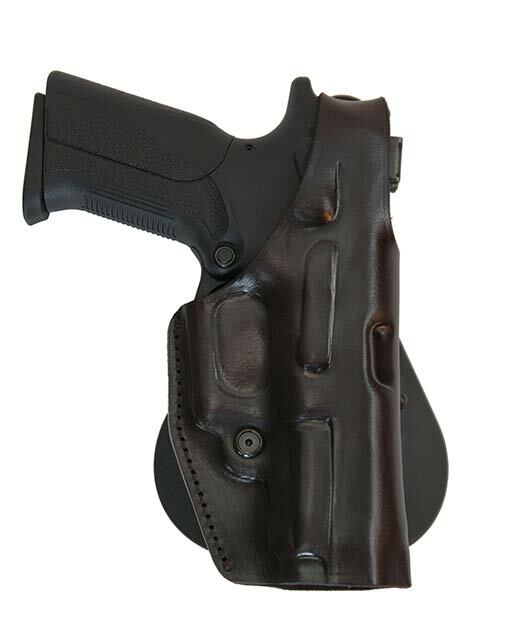 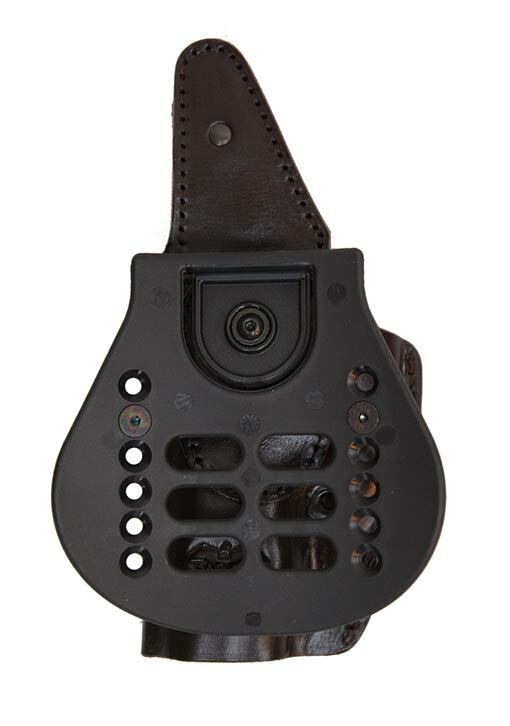 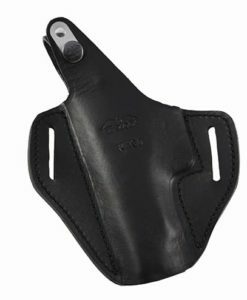 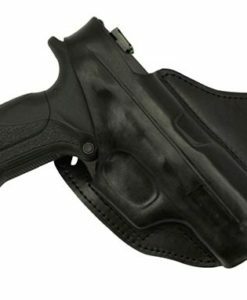 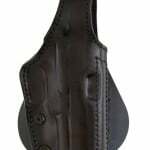 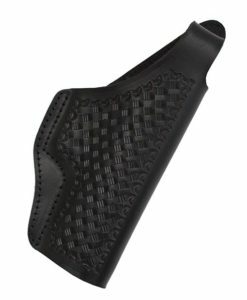 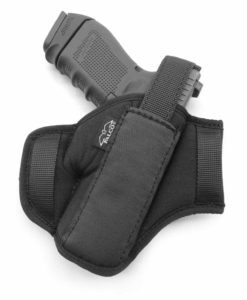 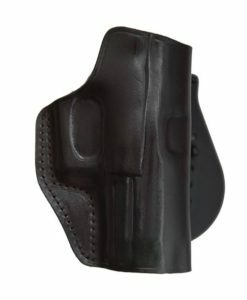 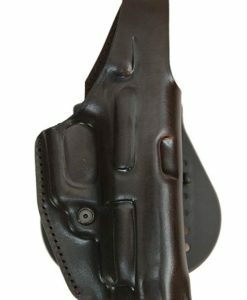 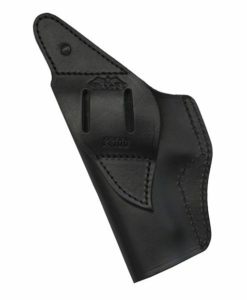 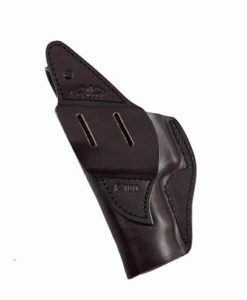 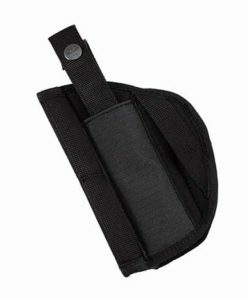 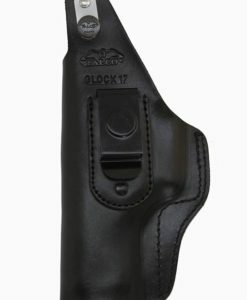 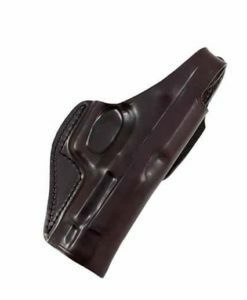 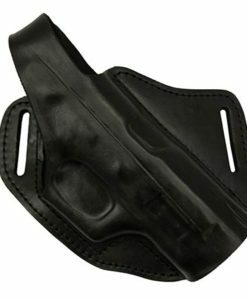 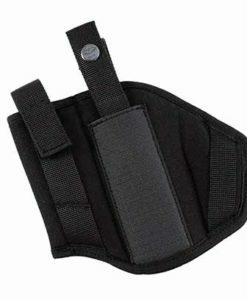 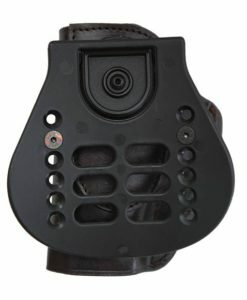 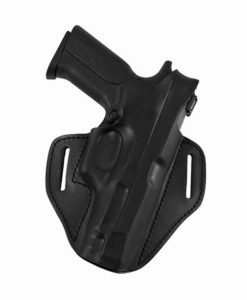 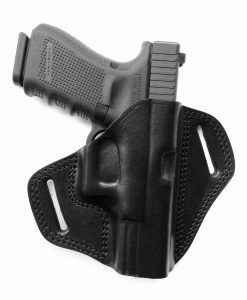 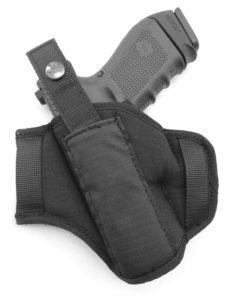 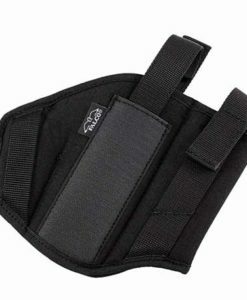 The holster is manufactured of high quality top grain cowhide, hand-molded and dyed. 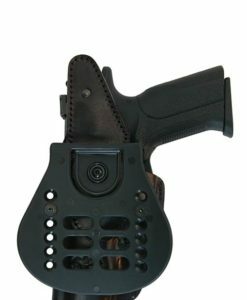 Gun security is provided by use of retention screws. 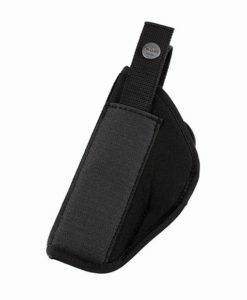 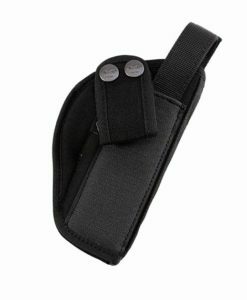 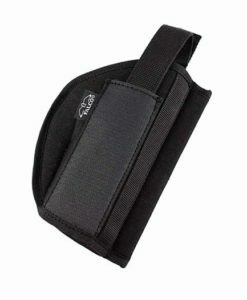 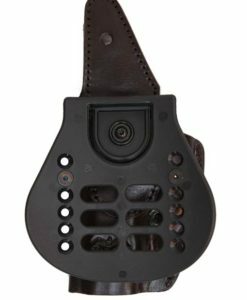 Holster is narrow and takes up little space on the belt with open gun muzzle, elegant design made natural materials, long durability, efficient use with paddle system.